In the middle of The Valley, The Strip is becoming a dining and late-night destination in and of itself. 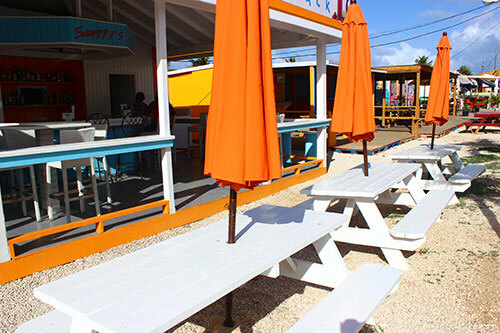 New restaurants have been moving in, transforming the once collection of tents and modest shacks into a colorful, festive "strip" of vamped-up establishments. Sharpy's Shake Shack is one who is leading the way in terms of visual appeal, ambiance and eats and drinks! 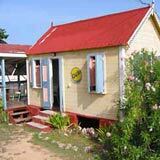 Owned by the lovely family of Sandy Island, it's no surprise that Sharpy's catches the eye right away. 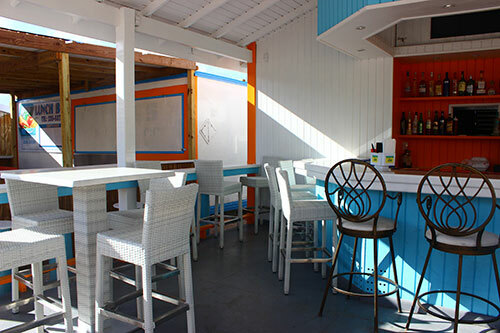 Breezy and open-air, painted in Anguilla's tri-colors, with crisp white chairs and tables, its color scheme creates a classic, more upscale, casual vibe. 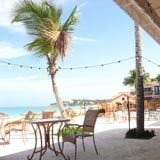 Indoor seating includes high chairs and bar and table dining. Outdoor seating on the patio, for when "inside" gets too crowded, features pretty picnic tables with umbrella shading. Its inviting bar and, of course, the bartender, Carvona. 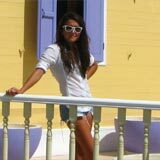 Always with a warm, inviting smile, she's a great conversationalist and puts you at ease from the moment you meet. We weren't the only ones to be captivated by Carvona's charisma. Once 4pm rolls around, and patrons congregate around the bar, echoes of full-bellied laughs and friendly banter fill the room. 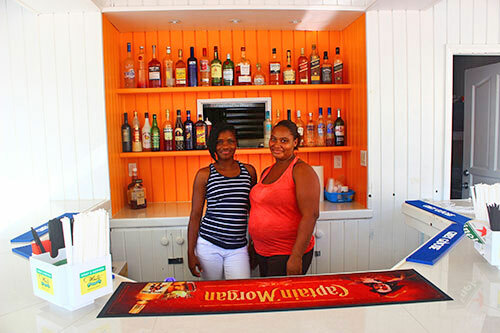 Sharpy's menu suits both its bar-style and dining-style set up. 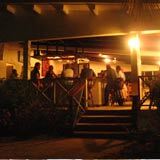 Grabbing a light bite off of their "Island Style Tapas" menu is perfect for bar dining. Tapas includes fish bits, fish tacos, shrimp tacos, "Shake Shack Shrimp," chicken fingers, local pepper shrimp and a selection of kebabs (chicken/shrimp/steak). 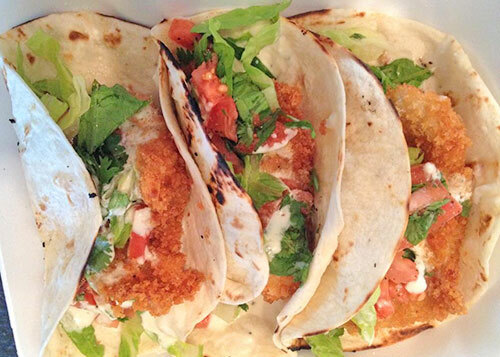 The crispy fish tacos, flaky fish battered and deep fried and served with lettuce and tomato and garnished with cilantro, is a must-try when stopping in for a drink. If you're looking for a full meal, Sharpy's has you covered, too. Grilled steak, grilled chicken, sweet and spicy chicken, shrimp, fish and shrimp pasta, all in the price range of $10-15. Add $2 for sides (fries, rice and peas, pasta salad, coleslaw, green salad). 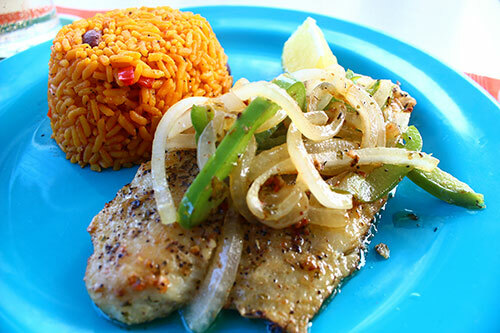 The pan seared fish hits the spot, smothered in peppers and onions (staples of most traditional Anguillian meals), with flavors from the herbs locked into the sizable portion of fish. 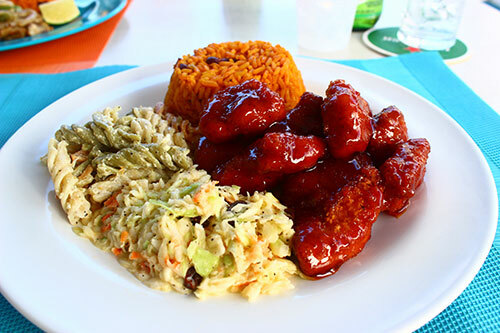 I recommend sticking with the seafood options (Sandy Island's specialty), but the sweet and spicy chicken is a fun option if you're craving something different. As for the sides? The crispy fries and the rice and peas are our favorites. 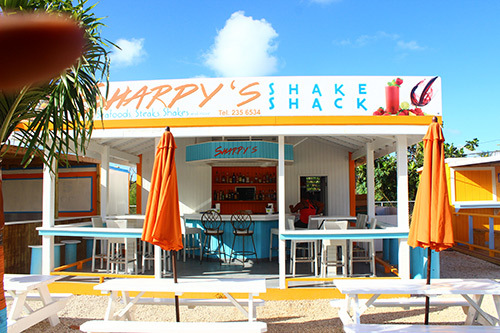 Sharpy's signature shakes and frozen drinks make up the final part of their menu, with different fruits and ingredients available, including mango, strawberry, banana, pineapple, coconut, peanut, oats, ginger, milk, yogurt and even sea moss! 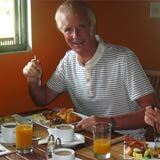 With a variety of menu choices and an inviting atmosphere, Sharpy's is a focal point on the Strip. 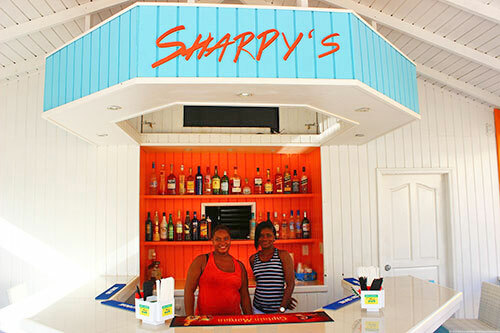 If you're looking to unwind, mix and mingle, grab a drink and a light tapas bite, Sharpy's will be right up your alley. Their slogan is The Sharpest Spot on the Strip, and that couldn't be more true! Hours: Monday-Thursday 12pm-9pm. Friday & Saturday 12pm-12am. Closed Sunday.